Setting on 200 beautiful acres our two bedroom log cabins overlooking Hamilton Lake are a unique blend of rustic with modern amenities- WiFi, Central AC, Satellite TV, fully equipped kitchens, and comfortable furnishing including linens. 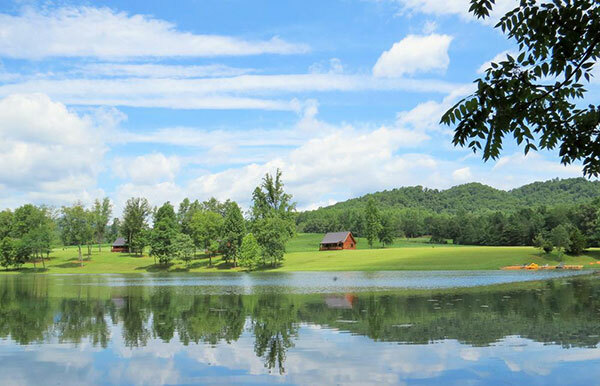 Whether you’re fishing or kayaking on our private lake, enjoying the views from your porch, watching the deer eat and play or walking the trails, here, your mind, body and soul can’t help but relax and become one with nature. We are located 1.5 miles off of Route 151 In Nellysford, VA.